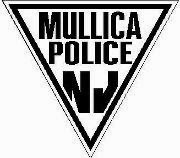 Law enforcement officers from the Mullica Township Police Dept. will be cracking down on distracted drivers as part of a new national distracted driving enforcement campaign. The slogan of the national campaign is UDrive. UText. UPay. Despite the fact that using a hand held cell phone or texting while driving is illegal in New Jersey, the practice appears to be widespread. In a 2013 survey conducted by the FDU PublicMind Poll for the Division of Highway Traffic Safety, 72% of respondents said they “very often” see people driving and talking on a hand held cell phone. 40% of respondents said they “very often” see driver’s texting. The campaign is being carried out during the month of April, which is National Distracted Driving Month. The campaign is modeled after similar successful high visibility enforcement campaigns such as Click It or Ticket and Drive Sober or Get Pulled Over.